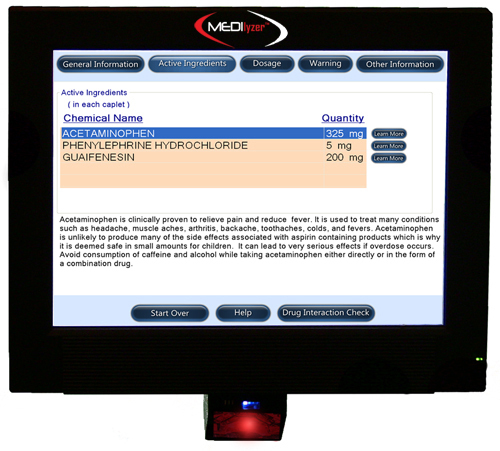 The touch screen Medilyzer Smart Panel™ analyzes prescription and OTC medication information and interprets it for the consumer. Dosages, warnings, side effects, and interactions are personalized for each individual based on existing health conditions entered by the consumer. 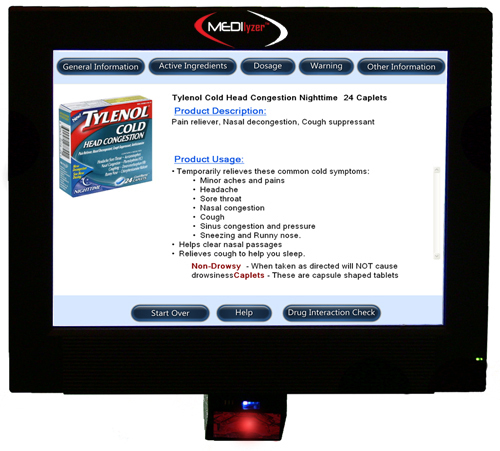 The Smart Panel™ works quickly and accurately to ensure customer satisfaction while minimizing health risks. Medication comparisons happen in mere seconds giving consumers need-to-know information on the go. The Smart Panel is also on the front line helping people deal with the challenges of a recession. 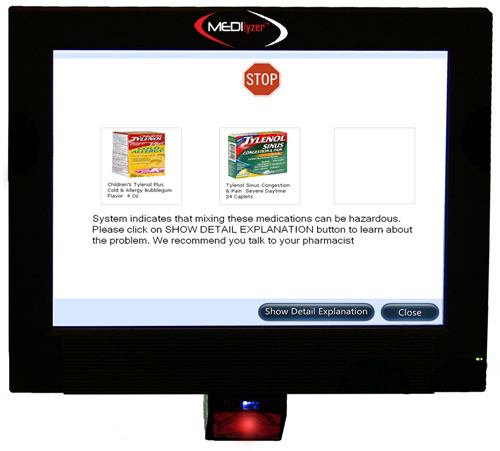 Customized to the store’s inventory, the Medilyzer Smart Panel™ allows users to scan any brand medication and find the equivalent generic product that the store carries. Harness the power of contextual marketing by promoting in-store products akin to customer input. Promote related HBC products, weekly or daily specials, store brands, wellness initiatives or even corporate philanthropic initiatives. The Smart Panel™ allows non-English speaking consumers to use the system in their native language.